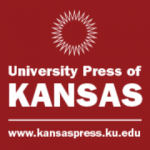 The University Press of Kansas and the Osher Lifelong Learning Institute would like to announce a partnership. The Osher Lifelong Learning Institute is a part of KU Professional & Continuing Education and are committed to creating accessible and innovative learning environments throughout Kansas and the Greater Kansas City area, with special focus on participants age 50 and over although anyone can participate. Choosing from a diverse collection of courses, participants create their own program of personal development, expanding their views of the world and enriching their lives and their communities. Faculty and facilitators are carefully selected to assure they have the academic qualifications, a passion for the topic, and a love of teaching to create a meaningful and fun learning environment. The partnership will involve the Press facilitating an introduction between our authors and Osher where they can become special presenters or long term teachers for their programs. Osher’s mission is very similar to ours and we found we had a lot of common goals between us, so a partnership will become mutually beneficial to Osher, the Press, our authors, and the participants in these programs. This relationship will help our outreach to the local and regional community and our authors will enjoy the experience as well as gain exposure for themselves. We have already introduced two of our authors to the Osher Institute who were thrilled at the opportunity to work with programs that will benefit our local communities. Our expectation once our partnership is established here in Kansas is to provide this opportunity for all our authors across the country as there are 120 Osher sites spread throughout all 50 states. If you have any questions about the Press, or the services we can provide to you, please contact Interim Director Conrad Roberts at ceroberts@ku.edu. If you have any questions about the Osher Institute, please contact Director Jim Peters at jpeters1@ku.edu .